Mystic Aquarium is an aquarium and oceanography institute in Mystic, Connecticut. It is part of the Sea Research Foundation, a nonprofit organization that also includes JASON Learning and the Ocean Exploration Center. The Aquarium is one of three U.S. facilities holding Steller sea lions and it has one of the largest outdoor Beluga whale exhibits in the United States. 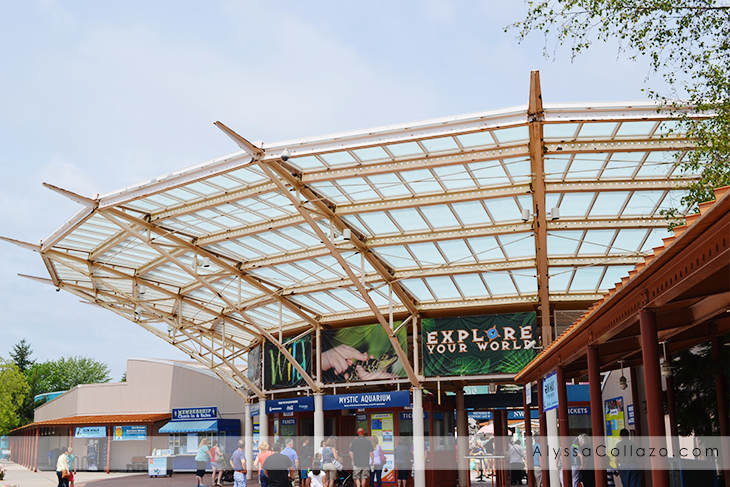 Special exhibits include a ray and shark touch pool, a penguin exhibit, and a jelly gallery. 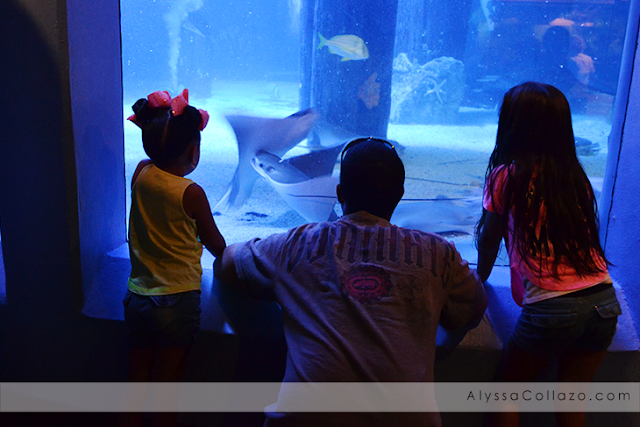 Within the aquarium, encounter programs are offered to visitors for an additional fee. Through these programs, visitors can to get close to the African penguins, touch and stand in the water with Beluga whales, and feed and touch sting rays in a special pool. My family and I had the chance to visit Mystic Aquarium. 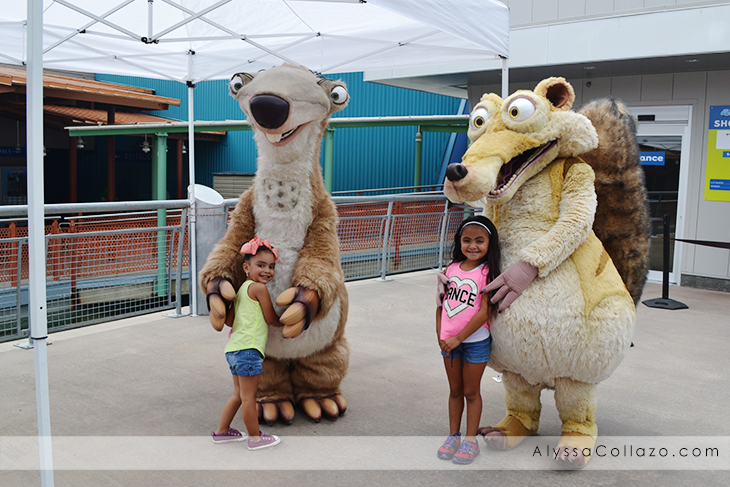 The day we visited Sid & Scrat from Ice Age were also visiting! 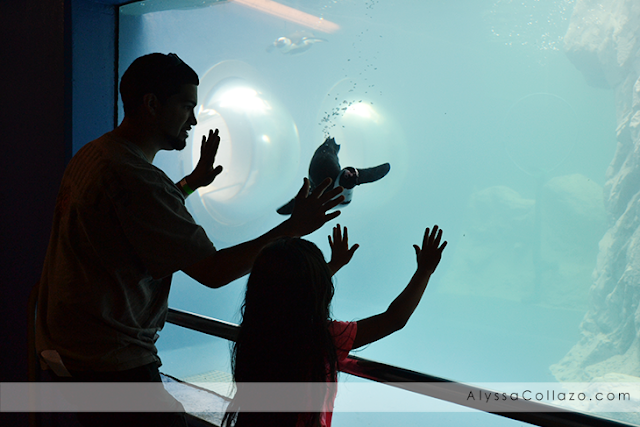 And in celebration of Father’s Day, Mystic Aquarium was also offering fathers free admission with a full-paid child admission, such an awesome promotion! The first thing we did was visit Sid & Scrat and after we headed to the 4-D theater to join Scrat as he time travels in his zaniest adventure to date, Ice Age No Time For Nuts 4-D. Scrat battles a wonky time-machine that has zapped his beloved nut, and with buddies Manny, Diego and especially Sid along for the ride, the laughs are right on time in this custom 4-D special effects extravaganza! My girls absolutely loved this 4-D experience. Once the Ice Age No Time For Nuts 4-D was over, we explored the Beluga whale exhibits. Which was absolutely incredible! This one-acre outdoor habitat features three interconnected pools holding more than 750,000 gallons of water, making it one of the largest outdoor beluga whale exhibits in the United States. We made our way to The Roger Tory Peterson Penguin Exhibit, this exhibit offers above- and below-water viewing for more than 28 resident African penguins. There is always a staff member at this exhibit ready to answer any of your questions and tell you all about these fascinating birds. After learning Penguins respond to hand movements my fiance and daughter just had to try it and sure enough they caught a Penguins attention. They tried this trick over and over. Which was pretty amazing to watch! After having lunch at Penguins Cafe, my fiance had the opportunity to do the Whales Up Close Encounter. He was able to learn so much about the Beluga Whales during the Encounter and he was actually able to touch a Beluga Whale. He hasn't stopped talking about this unique experience. This encounter was $65 and if getting in the water is your thing, they have a Beluga Whale encounter for $165 that allows you to not only get in the water with the Beluga whale but get demonstrations on their health and well-being! Before leaving, we decided to visit the Main Exhibit Gallery. This Gallery includes Shark encounters, Stingray Bay and Shark Lagoon, Coral Reef & Loggerhead Turtle Area and so much more. Unfortunately we were unable to experience the Shark Encounter due to timing issues. 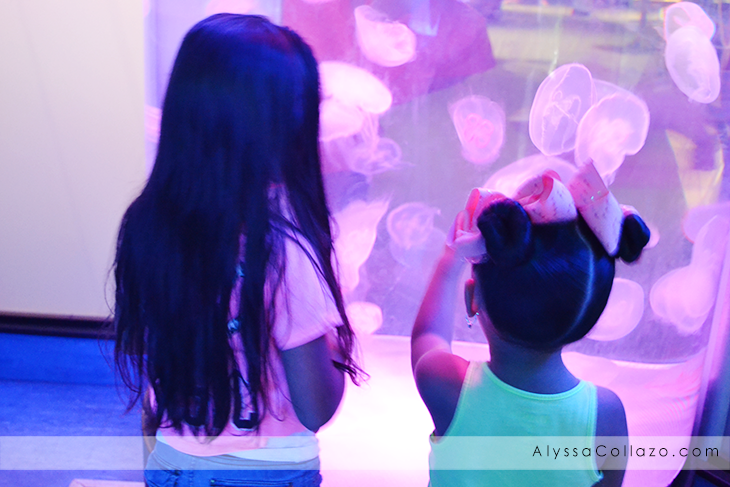 My girls loved the Jellies: The Ocean in Motion. They were able to learn about six jelly species! We loved the Moon Jellies. We had a wonderful time at the Mystic Aquarium and of course will be going back. Our visit was so effortless for me, between the family restrooms, interactive exhibits and friendly staff, it is easy to feel relaxed. Also, If you are local, make sure you check out their website for more information on their summer camps for ages 2 - 16! Thank you Mystic Aquarium for a wonderful visit, especially during Fathers Day Weekend. DISCLAIMER: Mystic Aquarium provided complimentary passes to their Aquarium. All opinions stated are my own and are not influenced by any affiliates. We were in mystic over the weekend and always love it there. It's really a great, hands on aquarium! Aquariums are so much fun! Belugas are one of my favorites. They always look like they are smiling. This looks like a great aquarium. Aquariums are one of my favorite places to visit. I find marine life so incredibly interesting. My kids would love the Mystic Aquarium. Every time I take them to an aquarium, it's all they can talk about for the next week. This looks like so much fun! What a cool day. I love the jellyfish! They're so beautiful to watch swimming around. Although I much prefer watching them from behind glass to swimming with them :-). This is the perfect way to enjoy them! I would love to visit Mystic sometime! That aquarium looks like it would be a lot of fun too! Aquariums are so beautiful, I haven't been to one in ages! Love the fact that they had the Ice Age characters there too, how cute. what an awesome learning experience for the kids! Aquariums were always great places to spend a day with my daughter! This looks like a great place to go visit! I would love interacting with the animals like that. We're also fans of Ice Age so meeting those characters would be a treat for my kids. What a beautiful experience! My family and I have never been to an aquarium before, but it is definitely on our to-do list. 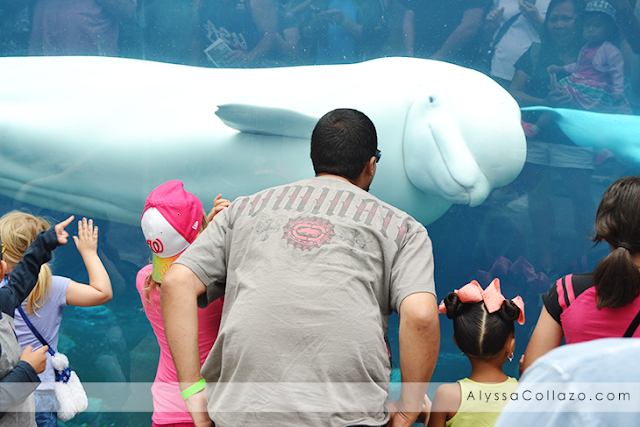 We went to Sea World last friday and saw some of the whales, including the Belugas. I found out today that one of the Beluga whales had a baby on Sunday. I enjoyed learning about the whales about marine life. We often hear the negative stuff and we don't get to hear about the cool stuff thst they know about these cool animals. This looks like an amazing family activity to do for sure. 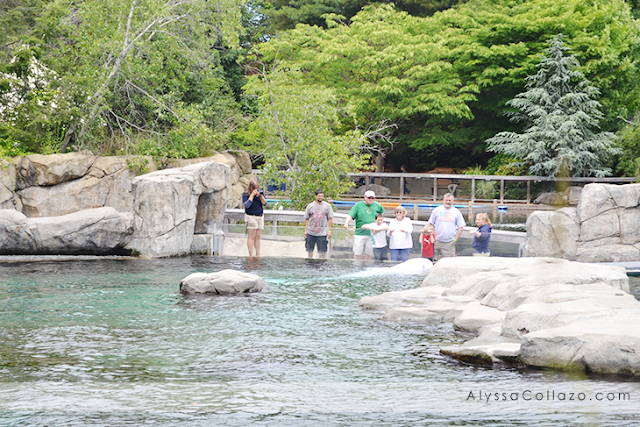 I would love to go here to Mystic Aquarium some day. It looks like you had an amazing time indeed and these are amazing pictures. Thanks for sharing. Oh wow. This is so amazing. I would love to take my daughter here one day. She would love this so much. This looks like a fun day out. My daughter would have a ball. She loves the aquarium. It's such a fascinating place for kids. Those mascots are so cute! :) Aquariums are always fun to visit for kids and adults alike. We had a blast when we visited the National Aquarium in Baltimore. What a fun day! That aquarium looks like so so much fun! I would love to visit! Looks like you had so much fun. We've never been to Mystic Aquarium and I wish there is something similar nearby. Ahhhh this brings me back to my childhood! I lived in RI for afew years when I was super little and my parents took me to Mystic Aquarium all the time! That's really neat that you can go in the water. Aquarium is one fun place to visit, we love going t one near our place. That picture of the dolphin is amazing!!! This would be such a fun experience for kids! We don't see dolphins but every eyar we bring teh kids to Italy (on the beach) and they see everything from sea urchins to starfish, to crabs, whatever small creature lingers in the sea! I seriously love aquariums and this looks like a great one!! Great post!! This place looks amazing! I hope I can bring my kids here someday! That looks like a really great place to visit. My kids would love a place like that. These pictures are awesome! I need to take my kids to the aquarium this summer, they have been begging me to go but I keep forgetting to schedule it. I love going to aquariums! I bet the kids were stoked to see the Ice Age characters there. I know my little ones would be! That is just too cool and mystical haha! I want to go!!! This looks like an awesome aquarium! I haven't been to the aquarium thats in in a few years and totally would love to go back! I love the look of this one. Looks like you all had a blasé for sure!! !